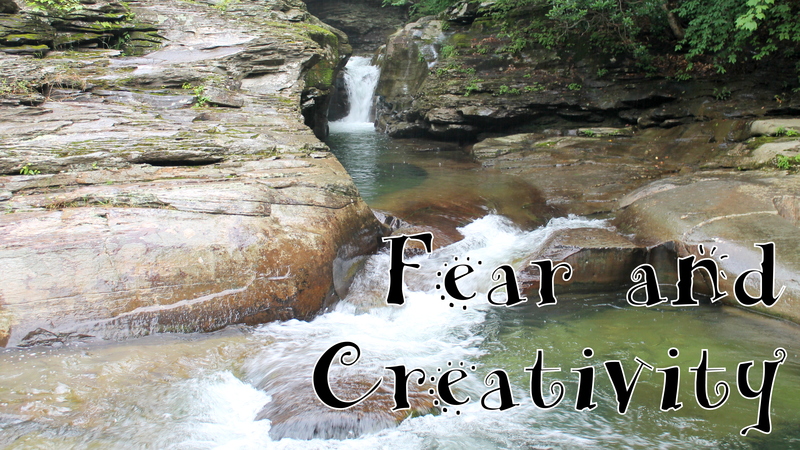 In ECT Episode 23 I talked about creative fears and conquering them and going for it anyway. Sometimes pushing through your fear, even in a small way works. What I believe is the most productive thing to do when facing fears is to listen to them. This is a concept that I’ve heard before and today it has been reiterated to me through several teachers. I did a guided meditation by Leonie Dawson. Then while I was cooking supper and cleaning up the kitchen I was listening to a webinar recording by SARK. Then I was also reminded from Jani Franck via a Facebook post. Sometimes it takes a few messages for something to sink in. When you come up against a fear – and in this case I’m talking specifically about creative fears – sometimes you need to listen to them. Acknowledge them. You can even talk to them and find out what’s wrong. I have a fear right now about an upcoming program I’ll be launching soon. So instead of just ignoring it and fighting through it, I paused to find out what’s going on. You can sing about it. You can create a drawing or painting or collage about it. Then you can transform it into something else. Maybe that fear can just tag along with you on your journey or maybe you will peacefully send it on its way. But don’t let it be your boss. You are in charge and you can let it know that. You don’t have to yell at it or boss it around. You can do it in a very calm and loving way. Thank you, fear, for you concern. I forgive you for the pain you are causing me. And I love you for protecting me. Yes, it may come along with you and it’s okay. It is overprotective and loves you. It wants you to be safe. It’s like when you were young and your mom told you to put on your jacket. You weren’t cold. You probably wouldn’t die without it. But she wanted you to be safe and warm. Your fear doesn’t want you to feel rejected. Your fear doesn’t want you to be hurt. Your fear doesn’t want you to be disappointed. Your fear wants everything to stay the same because it feels safer that way. But sometimes the thought of not creating your masterpiece, not trying a new craft, not using some beautiful supply, etc. is scary than staying where you are. If you haven’t been crafty or made jewelry before, it can be scary to start. But I promise you that it’s okay. It does not have to be perfect. It does not have to be difficult. Although from the outside looking in, the world of jewelry design seems this way sometimes, it isn’t this little clique where only certain people are allowed in. There isn’t just one way to do anything. And those people you look up to, they were new at one time, too. At some point they were exactly where you are. They were curious. They wanted to make something and they had to learn, too. If you mess up, it’s okay. In fact, it’s expected. Transform your fear into something that you can work with. My fear of snakes it trying to keep me safe. If I’m afraid of all snakes then the ones that are poisonous can’t hurt me either, right? If I refuse to go where there may be any snakes, none can hurt me. The problem is that I love nature and I live in Pennsylvania and we have snakes, so somehow I have to transform that fear into something else. So I can research snakes and educate myself on which are harmful and which are safe. I can educate myself on what to do if I do happen to get bitten by a snake. I can find out where snake hang out so I know to be more aware in those areas and I can be calmer in areas where they are less likely to be. So instead of being afraid, I can give myself knowledge. Say you’re afraid of making jewelry because you may mess up. Well, you can watch videos and read tutorials to learn skills (you can start at the ECT TV episodes or my Free 14 Day Introduction to Jewelry Making eCourse). You can start out using less expensive materials. If you’re going to learn wire techniques, use copper or artistic wire. If you’re using beads, head to the nearest thrift store to find jewelry to take apart for the beads. Then you can learn without fearing that you’ll mess up your expensive silver or gemstone beads. You can answer the following questions in your journal. Or if you need some help or accountability comment below. I’ll respond and I invite others to respond with helpful suggestions and support as well. 1. What fear do you have right now that’s holding you back? 2. What might that fear be trying to protect you from? 4. How can you transform this fear into something more useful? Or what steps can you take to reduce your fear. I.e. do you need some practice or education? Please comment below if you would like some feedback, accountability or help. 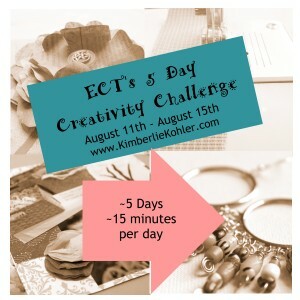 Next week I’m doing a 5 Day Creativity Challenge and I would love for you to join in, too! This entry was posted in Creativity and tagged creative fears, creativity, transformation, transforming creative fears by Kimberlie. Bookmark the permalink.